THIS summer, the Denver Art Museum is staging a blockbuster exhibition — make that exhibitions. 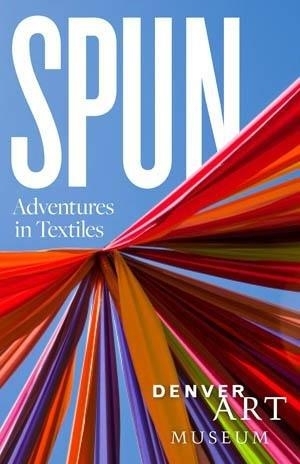 Called "Spun: Adventures in Textiles," it presents about a dozen exhibits, all variations on the theme, and is designed to address a chronic problem at museums: getting visitors to look at their permanent collections. "Every museum is frustrated by visitors coming to see one show, then going through the shop and out the door," said Christoph Heinrich, the Denver museum's director. "They don't see the rest of the museum." Denver, with a relatively new building that holds most special exhibitions and one that is decades old, suffers that problem acutely. And so he devised "Spun," intended to lure visitors to see the breadth of its holdings and all parts of its campus. "Cover Story," the centerpiece, opens on May 19 and introduces the museum's new textile galleries, six times their previous size and filled with star pieces from the permanent collection. Elsewhere, visitors will see red-white-and blue Navajo designs; Spanish colonial paintings that showcase native garments; multicolored Asian textiles made with varied dyeing techniques; contemporary fabric works by Ernesto Neto and Leonardo Drew, among others, in an exhibition called "Focus: Material World," and more. "Spun" also presents several mini-exhibitions that the museum calls "moments." One, "Western Duds," showcases four paintings, along with the depicted clothing (like a pair of overalls by Levi Strauss & Company circa 1905-22) that helped create the stereotype of the American West. Another, "Flash of Red, Glint of Gold," unites a pre-Columbian tunic with a hanging made in 2005 by Olga de Amaral, a Colombian artist. The museum will also present an international traveling installation, the "Hyperbolic Crochet Coral Reef," which will snake through the galleries, growing as on-site stitchers add to it — available to anyone who knows how to wield a hook. Visitors can also learn to quilt in a drop-in studio or join the sewing circle of Marie Watt, an artist-in-residence, a Seneca Indian whose sculptures, made from blankets, will be shown nearby. Aside from trying to attract a large audience, the pan-museum project serves an internal purpose. "It changes the culture of the museum," Mr. Heinrich said. Curators from various departments collaborate, offering ideas — and objects — to one another. Alice Zrebiec, the textiles curator, said the collaboration had another advantage: "The point is to take people out of their comfort zone and get them to see things differently." The response has been mostly positive. "It sounds like a great idea, though it all depends on execution," said David Gordon, a museum consultant who once headed the Milwaukee Art Museum and is now acting director of the Museum of Arts and Design in New York. "And it lends itself better to some museums than others," he added, depending on their collections. Mr. Heinrich hit upon the concept of a pan-museum project accidentally. A light bulb went off with his 2009 exhibition, "Embrace!" — for which 17 artists made works that responded to Daniel Libeskind's controversial design of the museum's 2006 Frederic C. Hamilton building. Why not, he thought, involve all curatorial departments on a single theme in much the same way? Thus was born "Marvelous Mud: Clay Around the World." In summer 2011, seven shows, including large-scale installations by contemporary artists and an exhibit of blue-and-white pottery around the world, went on view. More than 125,000 people came, equal to the number attending special exhibitions in the past, and many returned more than once, an internal survey showed. "People really went to all of the exhibitions," said Kyle MacMillan, a freelance writer in Chicago who at the time was the fine arts critic of The Denver Post. "That's extraordinary, when you're really talking about a ceramics show." When Mr. Heinrich started thinking about 2013, a spark was struck by a $3 million gift from the Avenir Foundation, announced in January 2012, to expand the textile gallery and allow spaces for textile conservation, research, education and storage. "Christoph challenged all the curators to propose something connected to textiles, either a major show or a 'moment,' " said Nancy Blomberg, the chief curator as well as curator of native arts. "And everyone did — we had too many; we couldn't do them all." Some that survived the cut may seem like a stretch: the photography department, for example, will feature two 20th-century photographers, August Sander and Seydou Keïta, whose portraits of everyday citizens use clothing as a marker of their identity. But others fit easily. Ms. Blomberg's "Red, White and Bold," for example, illustrates what she calls "the high point of Navajo design," the years from 1840 to 1870, when there was "an explosion of color and pattern." She is showing 30 pieces from the permanent collection and 20 on loan, in a space whose ceilings soar to 30 feet. William Morrow, an associate curator of contemporary art, organized "Material World," where long-held works by the likes of Chuck Close and Lucas Samaras will join new ones by Mr. Neto and Mr. Drew, and an exhibition of works on paper by Bruce Price, a local artist who manipulates garment patterns. Mr. Morrow also arranged a site-specific collaboration between two artists, Annica Cuppetelli and Cristobal Mendoza, that unites traditional craft, in the form of elastic ropes, with software-driven video projections. In the textile galleries, Ms. Zrebiec said, she wanted to show items from as many different countries, periods and techniques as possible; she decided to play on the word "cover" in her exhibition title to emphasize its importance as the museum's summer centerpiece and to show "all the ways textiles cover us." Among the items on view, from 24 countries and spanning the pre-Columbian period to the present, are a diamond-patterned rain cloak from Bhutan, from the early 1900s; an elegant, quilted-cotton Japanese fireman's coat, from the late 1800s or early 1900s; and a Tiwanaku knotted camelid fiber hat, circa 400-1000 A.D., from central South America. Mr. Heinrich said he was already contemplating the next biennial exhibition in summer 2015. "I'm thinking either a green show" — meaning an environmental theme — "or one about flowers," he said. "It doesn't have to be about a material." Some days, he has been more whimsical. "I wanted to do a 'dog and pony' show," he said, "but I haven't found any support among my curators."